The MP25 SmartLog system from Rodwell Scientific Instruments is revolutionising the way that autoclave cycle data is collected and analysed. In the past data collection would have been carried out by use of a data printer, which meant regular paper re-fills, replacement ink ribbons and reams of paper reports accumulating on the laboratory manager’s desk. Please specify your preferred method of contact. 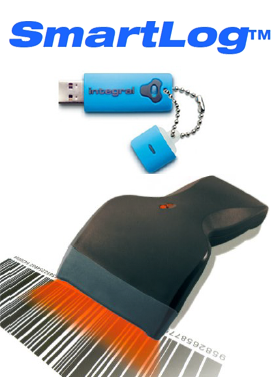 The SmartLog system, comprises a specially adapted USB memory stick and our SmartLog software package. When connected to our MP25 controller, each time a cycle is carried out, all the cycle information is stored directly to the memory stick. The data files can then be downloaded to the PC for analysis at a later date. The software offers quick and easily analysis identifying any problems which may have occurred during the run. Need something tangible to show auditors? SmartLog can generate a comprehensive customisable report which only has to be printed as and when required for audit purposes. As well as basic time and temperature sampling as with traditional data printers, a complete cycle temperature profile is also displayed giving a graphic representation of the entire cycle. The graph offers various visual options enabling the user to view only what they wish to see. This includes custom probe views, different cycle stages, drying and pressure displays, graphical zoom for more detailed analysis as well as F0 values for food testing laboratories. Need Advice on our Smart Log? Please feel free to get in touch.